This year has been a great year. I've traveled but not really for pleasure. Most of the time it's been for business, competition, or religious things. One thing that I haven't done is travel for pleasure. I haven't had the time because I've been so busy working and trying to move to DC. The last major vacation I really took was when I went to Haulover Beach in Miami and to attend a ball. I guess I just want some time away doing what I love to do as far as naturism, touring, partying, and just relaxing for a change. I rarely get that opportunity due to finances. Thankfully, things are getting ready to change and I'm thankful. Little Richard Not Gay NoMore? 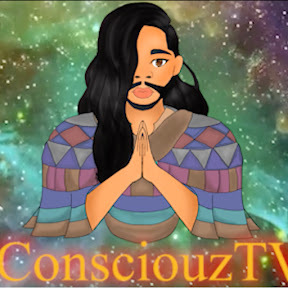 Davyon from ConsciouzTV Is one hell of a Youtuber, Podcaster, and All Around Great Person. He ways in on Little Richard's Denouncing of Homosexuality. Check out his views on Gay Affections. So Tina Campbell, Did You Postpone or Cancel Your "It's Still Personal Tour?" YOU HAVE BEEN TRUMPED!!! !